Click here to view to full size version. 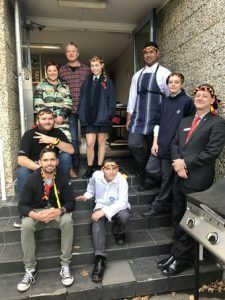 Dear Lalor Secondary College Community, we desperately need the assistance of everyone over 16 – students and families alike – to Vote for our BUSH TUCKER GARDEN AND OVEN AT LALOR SECONDARY COLLEGE at ‘Pick My Project’. Please take a couple of minutes to register at Pick My Project, then list your three projects for support in our area – ESPECIALLY OURS! Chance to do this closes on Monday 17th, so please vote NOW to Make A Difference for all of our kids. The link above explains our project and how important it is for us to receive this funding. There is also chance to leave a supportive comment on the project, please do so.